Meet Haillie, a young lady who is ready to make good decisions for her future. Haillie is described by her caregivers as being cooperative when she is in the home. She is a good dancer and singer and has used singing and journaling to help her get through hard times. She enjoys going to Miami seaquarium and swimming with the dolphins. She would like to go to college some day and has said in the past that she would like to be a neurologist. 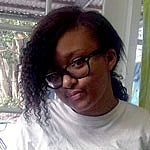 Haillie would do well in a home where she can be encouraged to continue her studies and to help her achieve her dreams.